Well despite Felicia's tummy ache, she wanted to get her costume on for Halloween, so here they are, Dorothy and the "Wicked" witch. Dorothy looks pretty good for a little girl who vomited about a dozen times today and Madelyn really worked her witch costume too. Nana's coming to take Mady and Aaron to the church "Light the Night" gathering and Felicia is going to stay home with me to hand out candy. This scary dude is Aaron as Jason. They just get to that age when you can no longer dress them in cute kiddie costumes and then you get this. Oh well, it's all about fun for them. We are taking a break for the day because Felicia is not feeling so good. She woke up with a bit of a stomach virus. Today I think we will stay in our jammies and watch some Halloween movies. I hope you all have a happy Halloween! Lollipops and bad hair days! It's Muffin Tin Monday again, but starting this week, MTM has a new home. Michelle at Her Cup Overfloweth is our new host and we are so excited to be able to continue to participate. So here is our tin for this week. Breakfast! Aaron has now come downstairs and the silence is gone. I miss it already. Well, last night I sat down to check out the pleated poppy, this is where the prize I won from the flipflops and applesauce giveaway was from. Let me tell you, it was a hard choice. I was able to choose a zippered pouch and a set of posy hair clips. There are so many great items and I will definitely be going back to shop for Christmas. Check it out everyone! 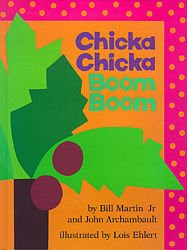 When I worked in daycare/ preschool, a favorite book with all the children was Chicka Chicka Boom Boom. This is a very cute coconut tree to make after reading the book. Have fun! First, I painted the trunk of the tree. Stamp your child's foot on the paper to create the top of the tree. After you clean off your child's foot, make a few coconuts with their thumbprint. Last, glue on a few letters and you have a "Chicka Chicka Boom Boom" coconut tree. Here is the book that inspired me. Check it out! Madelyn came downstairs the other day, she was quite annoyed I would say. See, she was having a bit of a problem. She really wanted to get cozy in her pj's just like mommy and her pants would just not stay up. I took this picture just at the point that she realized her "pants" were not pants but her jammie shirt. This week's theme is black and white animals. The girls had so much fun marble painting last week when we did our handprint spiders that I thought we would use the same concept for zebras. The only supplies you need are a cutout of a zebra, black paint, a marble, and a box to shake it in. Just dip the marble in the paint and drop it in the box with the cutout. Have your child shake the box back and forth the create stripes with the marble. Here is Madelyn's finished zebra. We can't wait to see all the other great ideas that you all come up with! If you get a chance, check out The Secret is in The Sauce. 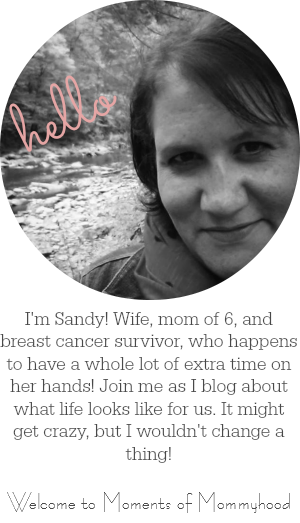 It's a great way to find some really cool blogs! 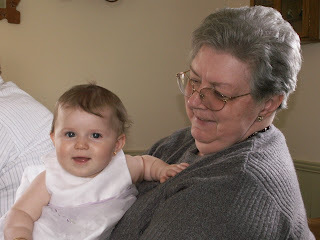 Though I am fairly new to blogging, I know that it is very addicting. This is a great site to feed my addiction! Enjoy! What a fabulous day to spend outdoors! We loaded up Nana and Poppy's van with lots of good food to eat and headed to World's End. We do this every year during fall to see all the beautiful colors of autumn. The kids collect all things nature! They have so much fun together. Almost like it's the first time they have been there. I could not stop taking pictures. Everything was so perfect.